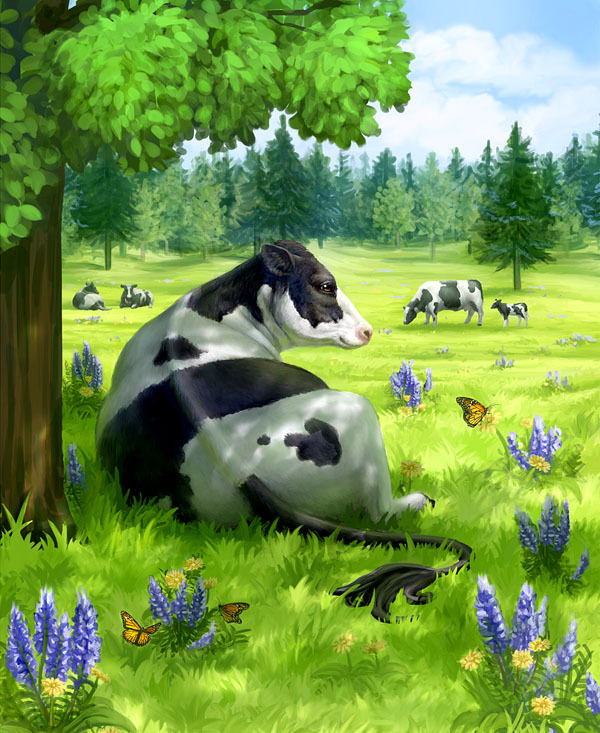 Commissioned by Amplomedia (a motion graphics company), on behalf of Rock Ridge Diary, this illustration of relaxed cows will feature on the labels of their organic dairy products. 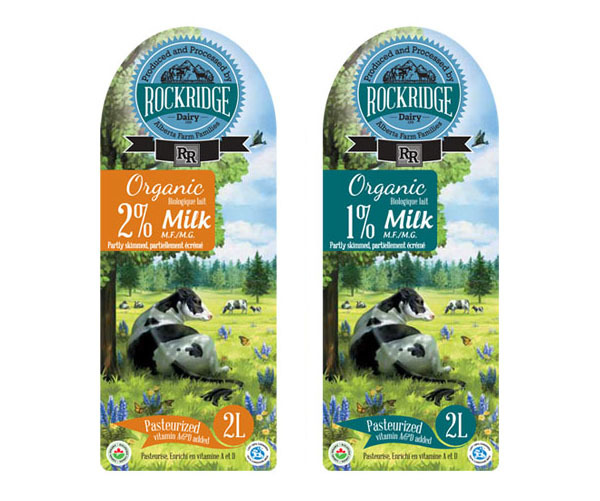 The second image is a preview of the completed packaging label design by Amplomedia and the label company, Challenge Labels. Please click the link below to read more about this project on my blog.